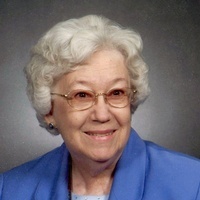 Mary Lou Devers, age 87, Joplin, passed away on Monday, December 24, 2018 at Joplin Gardens Nursing Center. Mary was born May 18, 1931 in Joplin, daughter of the late Bernard Joseph Hinkle and Verba Florence Allen Hinkle. She graduated from Joplin High School in 1949. When she was younger she held many jobs including working in a movie theatre, and then she worked for Sears in Joplin. Her favorite job was that of being a church secretary for her church, Forest Park Baptist Church. She also worked for churches while she and her husband Bob lived in Tulsa and Bartlesville, Oklahoma. Mary was an active member of Forest Park where she loved doing the Lord’s work, whether that was teaching Sunday School, or working with the AWANA Program. She loved spending time with children and also volunteered with the local grade schools in a special reading program. After retiring, she enjoyed her Sunday school class, and was dedicated to working at the WMU House with all her friends. In addition to her parents, she was preceded in death by her husband, Robert “Bob” Devers, whom she married November 28, 1980 at Forest Park Baptist. He preceded her in death on August 13, 2002. She was also preceded in death by a granddaughter, Charissa Noland. Survivors include two children; Pamela Campbell and husband Mike of Littleton, Colorado, and Gary Lankford and wife Mary of Carl Junction, Missouri; step-son, Scott Devers and wife Debra of Dallas, Texas; five grandchildren: Erin Wilkerson and her husband Todd, Mark Lankford, Amie Glazier and her husband Josh, Laura and Deana Devers; ten great-grandchildren: Garrett, Kaylie, Jack, Isaiah, Uriah, Amariah, Harrison, Colton, Carter and Michaela. Funeral services will be Monday, December 31, 2018 at 10:00 a.m. in Parker Mortuary Chapel with Dr. John Swadley officiating. Interment will follow in Ozark Memorial Park Cemetery. The family requests that any memorial contributions be made to the AWANA Program at Forest Park Baptist Church.